Calling it a sea is a little bit of a stretch; it's really more of a puddle. 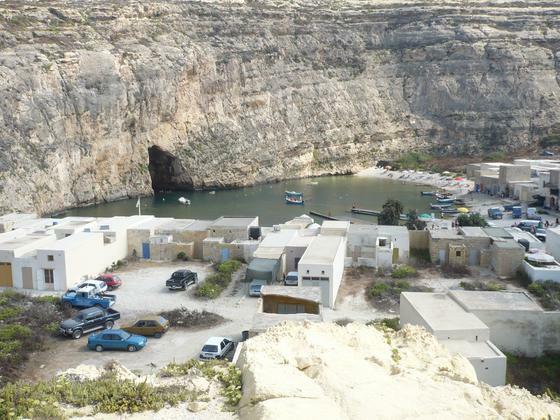 The hole in the cliff on the left is a channel to the sea. This is what lets the water flow in; it also allows small boats to go out. It cost us 3.50 euros each, which is pretty good value compared to some of the other trips we saw. 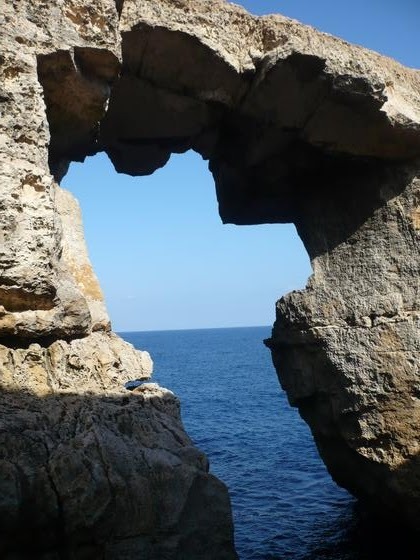 Once through the tunnel, you're taken to see the Azure Window, and into some smaller caves along the cliff. Depending on the way the light catches the water, and what's at the sea bed, you can get considerable variation in the colour of the sea. Above, you can see that it really is blue. 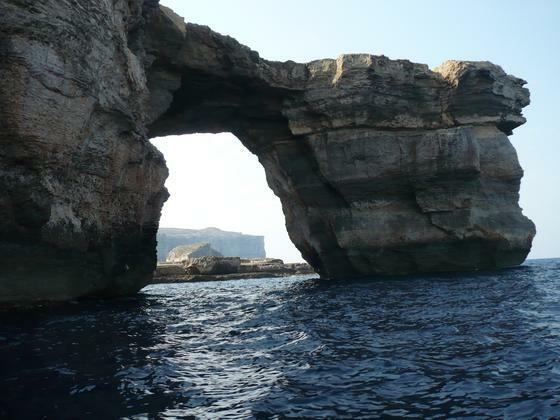 We went over to Gozo for our summer holidays, staying just over a week. 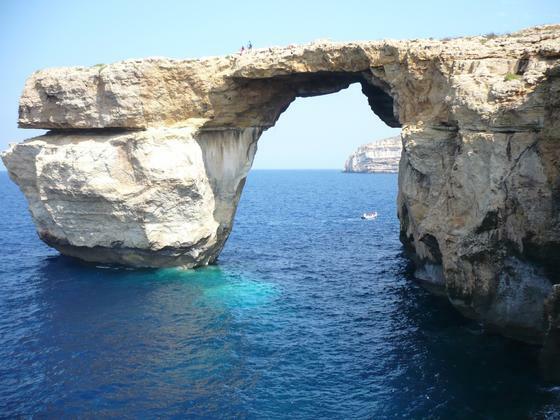 One of the main attractions is the Azure Window, in Dwejra bay. 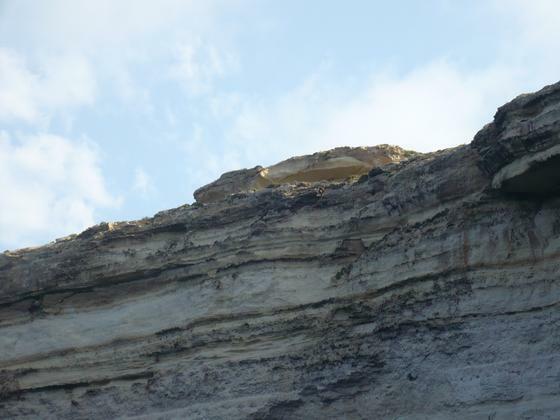 Given a rock collapse earlier this year, it might not be around for much longer. 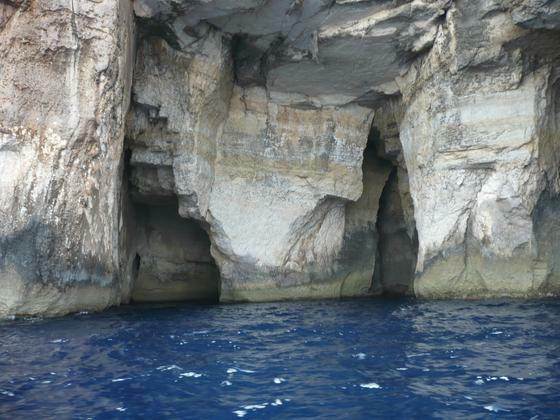 We were staying in Gharb, which is just a few minutes from Dwejra, so we went down several times. You can just see Fungus Rock in the middle there. 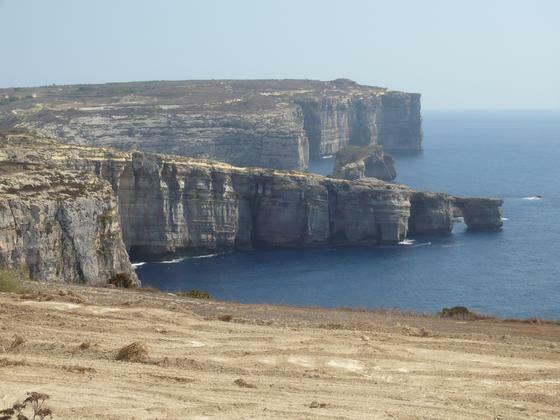 One afternoon, I took a little walk out from Gharb, to the promontory on the other side of the bay. So you can look back and see the window in context. This one is rather more difficult to get to. We visited the San Dimitri chapel, and then drove across country, along some absolutely terrible tracks. We came across some locals in the middle of nowhere who didn't know where it was and who tried to send us off to Dwejra, as we obviously looked lost. But there is actually a good modern road from Ghammar if you can find it, and a path and steps have been put down the side of the valley so you can get to the window.